CCIE Written Prep | CCIE or Null! 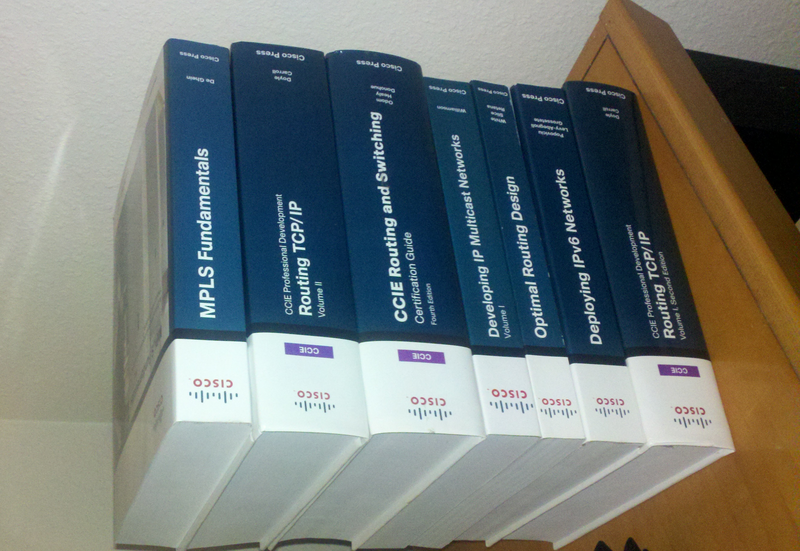 A few of the CCIE books I have next to my bed! I’m sure that will be enough to cover the objectives of the CCIE:R/S Written. I’ve actually already read through a good portion of the books mentioned, hopefully in the next month or two I will be ready to tackle the written exam! Anyway back to reading and labbing, I’m working my way through the Multicast objectives, then I’m going to tackle IPv6, and review VRF/MP-BGP and then I’ll be ready to take on the exam! I guess it’s time I should update my library page.